This statistic is based on a survey conducted in January 2018. 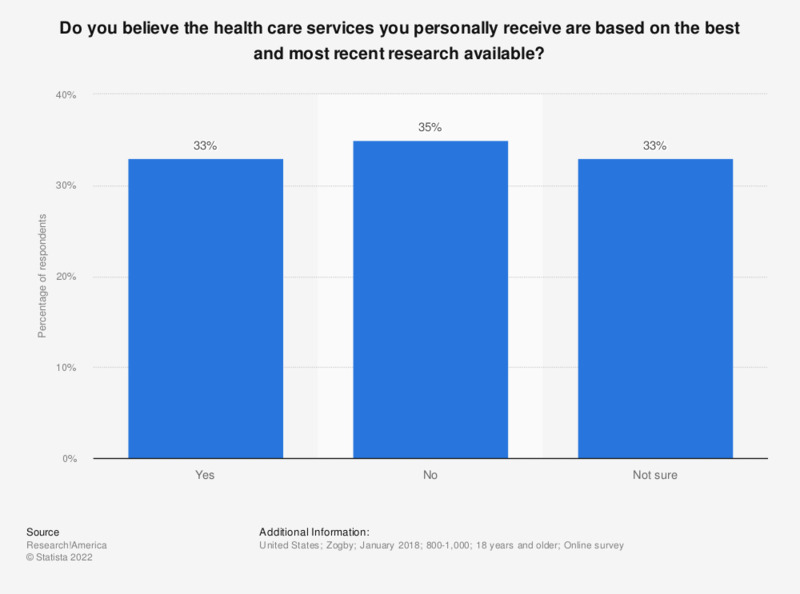 It displays the percentage of respondents who believe that the health care services they personally receive are based on the best and most recent research available in the United States. The survey shows that 33 percent of respondents believed that this is true.